Fruity is an ice cream parlor in Indaiatuba, São Paulo State, in Brazil. We were asked to develop packaging design for their frozen yogurt line. 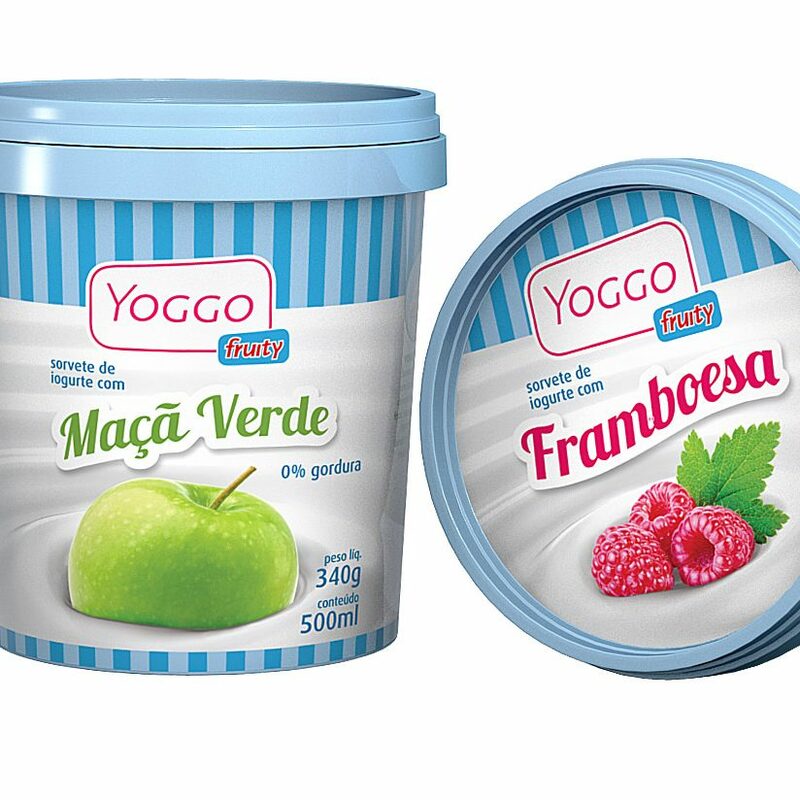 Yoggo fruity frozen yogurt packaging design wanted to transmit to consumers all the qualitiy of their carefully elaborated products. To create a differenciation from regular ice cream, we opted for using blue and white colors. These fresh colors enhance the images of fruits for each flavour and make the product stand out in points of sale. The technology used for labelling was the in-mould system, where labels are molten in the plastic when pots and lids are injected.